Well I wound up getting a bunch of books this week. I had two surprises in Save Me Kurt Cobain and The Smell of Other People's Houses. Thanks Penguin! 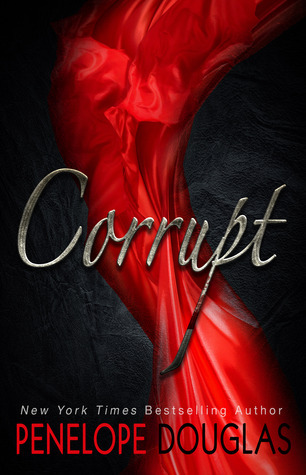 Next I grabbed Corrupt while it was on sale this week. I am really intrigued by this one, so I couldn't pass up the sale price. Then I won The Eater of Books blogoversary giveaway and got Broken and When A Scot Ties The Knot. Thanks Alyssa! Next up my pretty Glass Sword pre order arrived. This is the signed B&N edition and basically I am in love with it and cannot wait to read it. I also got myself a paperback of The Fable Of Us because I am in love with this book and needed a copy for my shelf. And last but not least, I had a small Book Outlet order where I got The Nightmare Charade, Fury of the Seventh Son, and Deaths Excellent Vacation (needed this one for the Jeaniene Frost story). Ooh I want to read When a Scot Ties the Knot! I've heard so many awesome things about that one! The Smell of Other People's Houses definitely has me curious because I've been hearing some great things! You'll have to let me know what you think! Corrupted sounds good, hope that you enjoy and have a good upcoming week. Ooo, signed edition of Glass Sword! I might have to order it, if it's still available! I loved Glass Sword so it's definitely worth the money. I love Kurt Cobain and The Smell too! I'd not heard of them though. :o SO happy to see SCOT and Unbroken safe and sound! I hope you enjoy all of your new books! I NEED to get Glass Sword! And I cannot wait for you to read Corrupt. I really enjoyed that one. I'm planning on starting The Fable of Us today (hopefully)! I'll have to snag a hardback copy of it as well 'cause I know I'm going to love it! Nice haul! Congrats on the win. I def wanna get my hands on The Fable of Us. I always enjoy a good Williams book (except I didn't liked her Crush series).